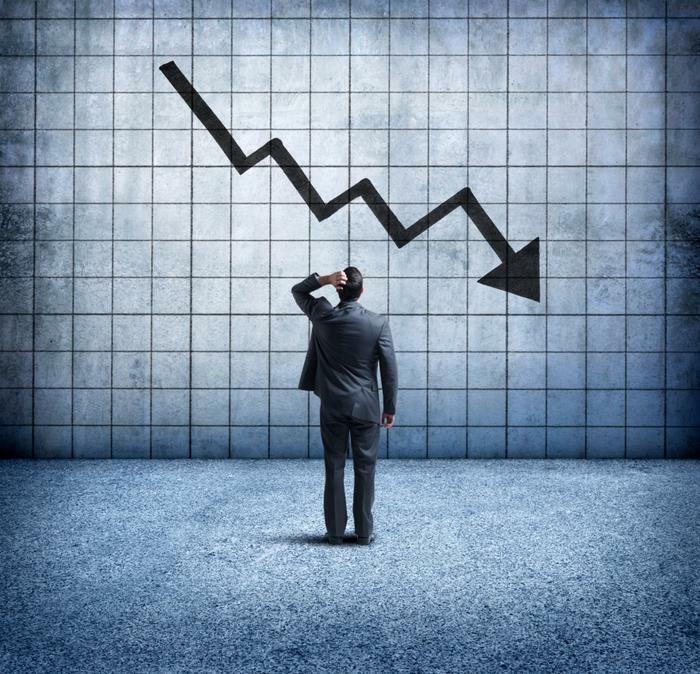 Is a recession on the way? FedEx, without using the word, suggests that could be the case. The package delivery company disappointed Wall Street after the bell Tuesday when it reported lower than expected quarterly profits and offered weaker full-year guidance. Business in the U.S. is just fine. After all, Amazon alone keeps a lot of those FedEx trucks rolling. But FedEx is an international company, and it attributed its weak quarter to a slowdown in the global economy. The company said it didn’t do as well as expected in Europe, in part due to currency issues and growing competition. But it also said tariffs have resulted in a slowdown in trade, and that means fewer packages and less freight are being shipped. "Slowing international macroeconomic conditions and weaker global trade growth trends continue," FedEx Chief Financial Officer Alan Graf said in a statement. FedEx and other shipping companies are often seen as a leading indicator for the world economy. When business slows for these companies, it usually means economic conditions are worsening. Even though FedEx shares sold off sharply in after-hours trading, many on Wall Street said they were not surprised at the results. Donald Broughton, Broughton Capital managing partner, told CNBC that FedEx is facing particularly strong headwinds. “If you look at what’s happening right now in both Europe and Asia, deceleration, contraction of air freight volumes, it’s no surprise that FedEx, being the biggest deliverer of e-commerce and air freight is struggling to make results,” Broughton said in an interview with the network. Broughton said he expects FedEx will bounce back, but he also said the larger question is whether the trade turmoil being felt around the world will make that process slow and difficult. In the short run, he said he sees a continued reduction in the amount of air freight that needs to be moved. The FedEx results will no doubt be part of the collection of data considered by Federal Reserve policymakers when they meet later today in Washington. The Fed has moved in recent months from a posture of aggressively raising interest rates to control inflation to taking a more accommodative stance. The shift to a more dovish position is taken by many analysts as a sign the Fed is worried that a global economic slowdown could eventually slow the U.S. economy.